Learn more with hot topics, videos, animations, and interviews. 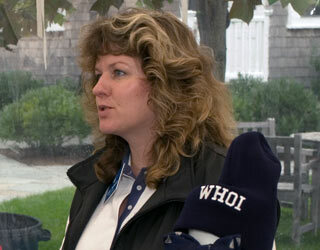 Kathy is the manager of Woods Hole Oceanographic Institution's Ocean Science Exhibit Center. Kathy works with the Polar Discovery partner museums to make sure everything runs smoothly during the live talks and provides exhibit support.